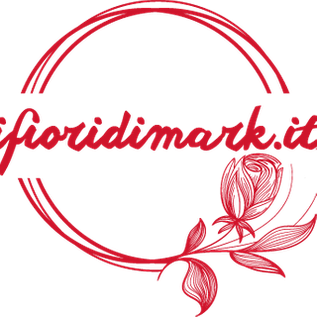 In a period that more and more, brings people to rediscover nature and walks in the countryside, we decided to open a section with some of the wild flowers, wild and spontaneous that we photographed and most importantly recognized during our excursions. We apologize in advance if our descriptions should not be too detailed or accurate but, you know, nature is not always easy to categorize precisely because so varied and endless. Send us your photos, reports or corrections to our mail ... we'll be happy to add new information. The White Bindweed (Calystegia sepium) has a typical shape of a trumpet and is often found along roadsides where it grows naturally. 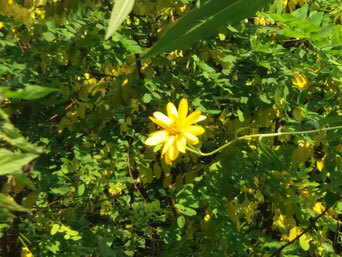 It 'a climbing-plant and pest capable of reaching up to 4 meters high that grows in temperate areas of Asia, Europe, North and South America and Australia. Fringed knapweed (Centaurea Phrygia): belonging to the Asteraceae family, this plant features unique flowers that mingle among the vegetation. 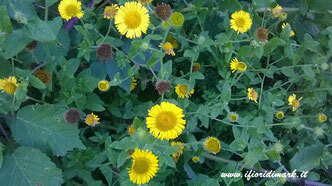 Greek mythology says that Chiron, after being wounded in the foot, he recovered thanks to a cornflower plant. 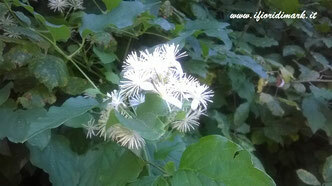 Old man's beard ( Clematis Vitalba): We do not find descriptions of this flower, so we rely on what we have seen. 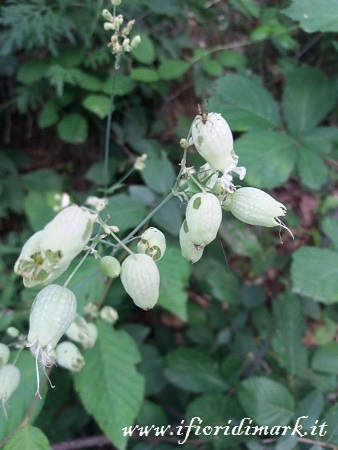 Hanging from a species of climbing plant on rock faces, blooms in summer in shaded areas. 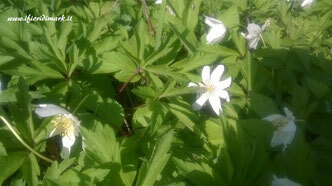 There are species of Clematis for pot cultivation, very different from that but equally fascinating. 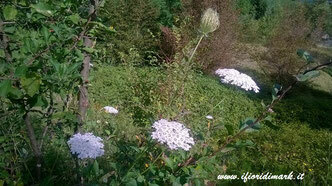 Wild carrot (Daucus Carota): is located in the wild in all rural areas of Europe, Asia and North Africa. However, there are species similar cultivation spread to the rest of the world. They love the sun and have a small root with a strong aroma of carrot. 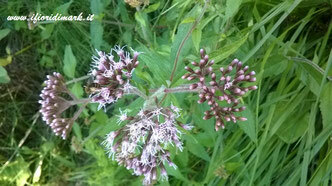 Holy rope ( Eupatorium Cannabinum): This plant in Europe, Asia, Africa and Australia, prefers shade, cool and moist. Wild fennel (Foeniculum Vulgar) of the Apiaceae family, this plant is harvested from mid-August until September and allowed to dry before being used in the kitchen and for therapeutic purposes. Common centaury ( Centaurium erythraea): grows in shady and cool areas up to 1500 m above sea level in the period between May and September. 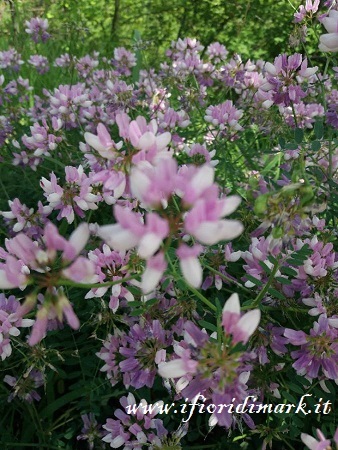 Scented and average height of about 15 cm, this plant has small purple flowers that are pollinated by bees, flies and beetles. 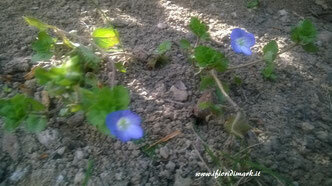 Even the cheeses ( Malva sylvestris) has great healing properties. 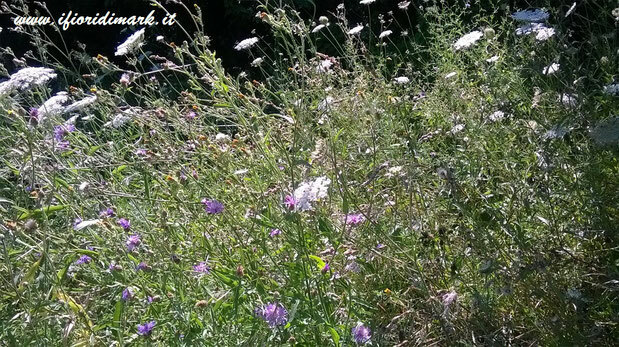 Grows as almost all wild flowers along roadsides or on lawns, or, if you want, you can buy seeds. Has, emollient, laxative and anti-inflammatory properties. 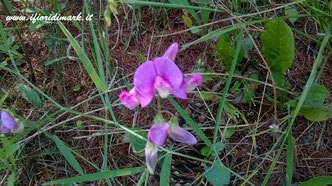 The Tuberous pea (Lathyrus tuberosus) has appearances by orchids that are confused with a flower of this family. It grows along roadsides and includes more than 100 species living in Europe, North America, Asia, tropical Africa and South America. 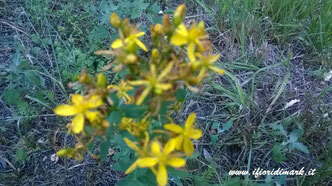 The Goldenrod (Silidago Virgaurea) belongs to the Asteraceae family and is another medicinal plant. Often it found at the edge of roads and in the cool temperate zones of Europe, Asia and North America. 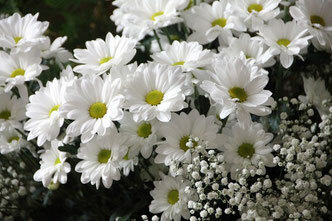 Oxeye daysi ( Leucanthemum Vulgare): is a species belonging to the Asteraceae family spread especially in the Euro-Asian areas. 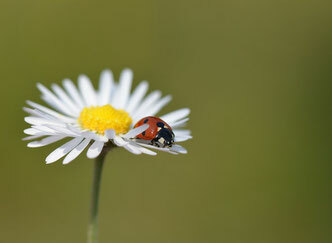 It reproduces thanks to insects (such as ants) carrying the seeds fallen to the ground by encouraging new growth. 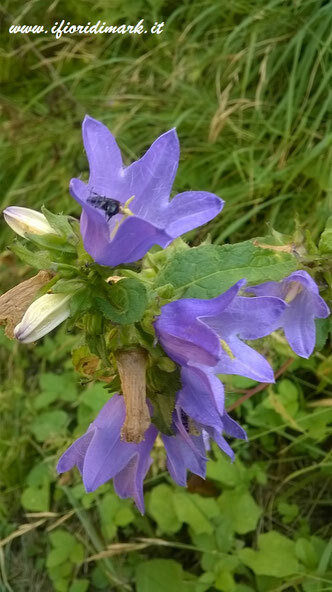 The Nettle-leave bellflower ( Campanula trachelium) belong to the family Campanulaceae. Inside the plant contains substances latex type, while above it sprout several inflorescences whose pollination happens thanks to bees and nightly butterflies too. Chamomile for dyers (Anthemis tinctoria): is located along roadsides and in meadows in areas between France and Ukraine at heights up to 1500 m above sea level. It is used to prepare infusions and macerated useful in relieving migraine problems and calming effect. 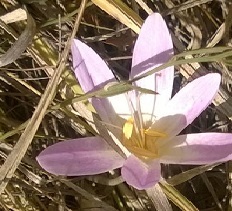 The autumn colchicum, also called false saffron or crazy lily grows between late August and November until 2ooo meters above sea level. 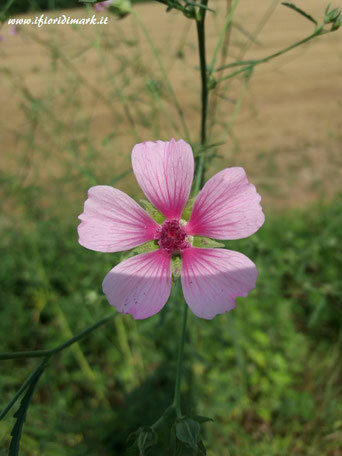 It is located in uncultivated fields and roadsides. It's typical of central Europe and northern Italy. ...The Myosotis shows its colors Intense suddenly in mid-late March. 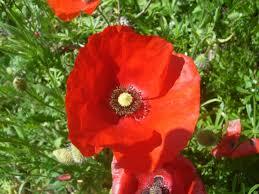 This flower has been Internationally adopted for the symbol of Grandparents Day. 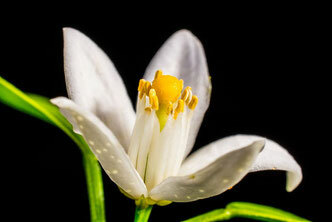 The Ornithogalum umbellatum grows wild from Plains Up to 1500 m above sea level. It is located on Uncultivated meadows, vineyards but also areas cultivated, in south-central Europe, Western Asia and North Africa. 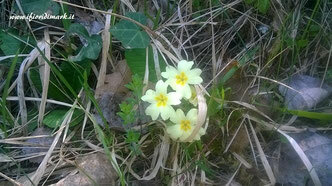 The primrose is without doubt one of the first flowers to make the appearance in the spring. Your name is not born a function .... if you can find in the woods, ditches and meadows Uncultivated. It is called Buglossoides purpureocaerulea this small florist spread mainly in Southern Europe, present in almost all of Italy. 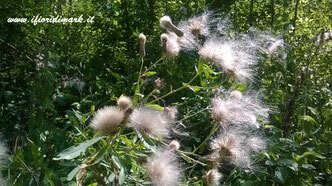 It is found in the woods, lawns and skies. 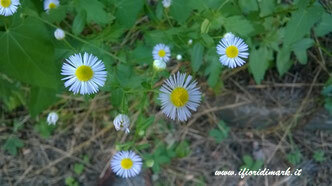 Its flowering period is April-May, until August. 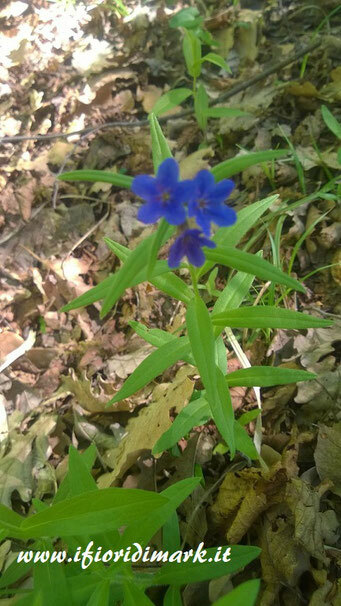 Vinca minor grows in the forests of hardwoods (mostly oak) in much areas of Central Europe, Caucasus and North America. 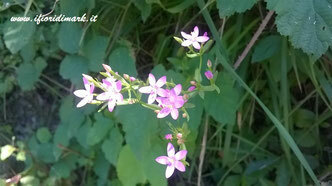 It blooms very early and in some areas it is possible to see it in February. 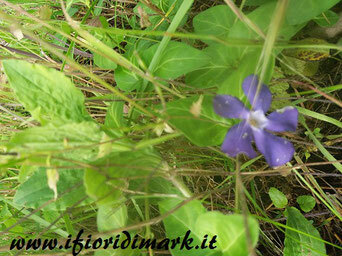 It is the younger sister of Vinca Major, who has larger flowers. 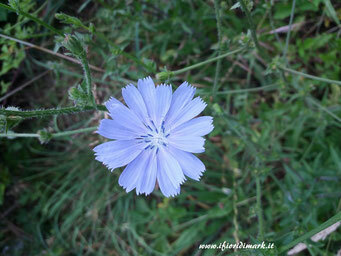 It's called cichorium intybus, this colorful flower that grows on roadsides and fallow fields in the plains up to 1200 m .
Widespread in all continents, this species is very common and easy to find all over the Italian territory. The althea officinalis is a tall tree with a height of one meter / one and a half with colorful flowers and a really elegant shape. It has many beneficial virtues and grows between May and August, on pristine ground in a sunny position. 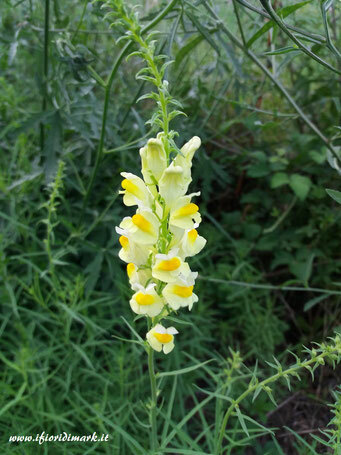 The Linaria Vulgaris grows up to 1500 m asl, at the edge of the roads, in the unspoilt terrain and in massive and massive railroads. It can be found throughout the European and Asian continent. 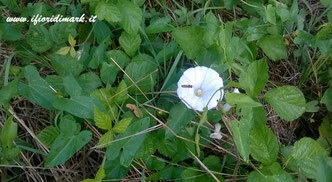 In Italy it grows everywhere except the islands. Coronilla varieIt is located from the plane up to 1200 m above sea level on the edge of the roads, arid places, rocky slopes. It is a perennial perennial plant distributed in Central Southern Europe, Western Asia and North America where it is considered a pest. 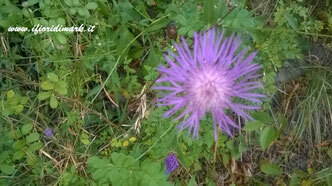 it grows from 0 to 2800 m above sea level in meadows and landfills. 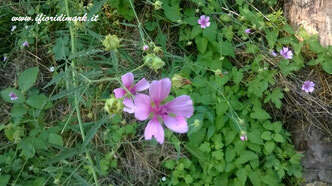 It is a very used herb in the kitchen as long as it is picked at the right time. 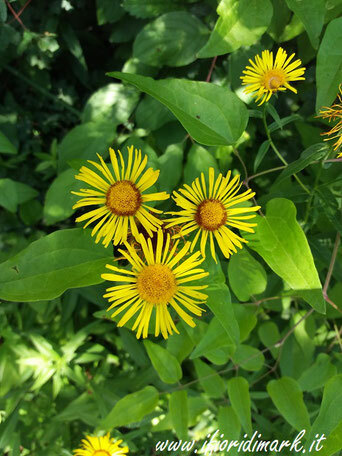 Inula salicina: from the family of the Asteraceae, it is a perennial herbaceous plant that grows between June and September in the plains, up to 1350 m asl in the woods, slopes and wet meadows from Europe to Japan. 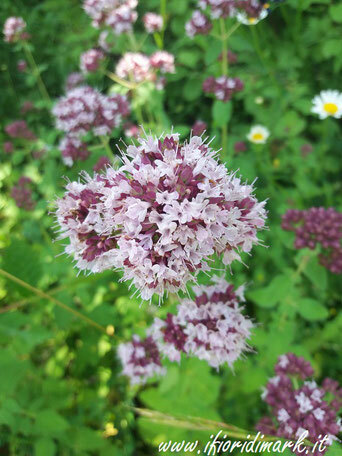 Origanum vulgare: perennial herb present in Europe and in Central-Western Asia, it grows between June and September in arid and sunny places, in woods and cliffs, from the plain up to 1300 m asl. 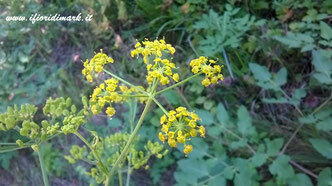 The height ranges from 20 cm to 50 cm and develops flowers with a more or less aromatic odor. 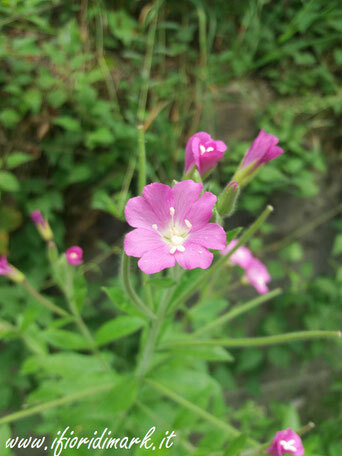 Epilobium Hirsutum: grows up to 1700 m asl from July to September. Watercourses, ditches, swamps, reeds and wetlands are its ideal environments. Senecio Vulgaris: also known as Senecione di San Giacomo, it blooms from July to October (the month in which we photographed it). It is present in Europe and Western Asia. Its ideal habitats are uncultivated meadows, roadsides, calcareous soils from the plain up to 1500 m asl.